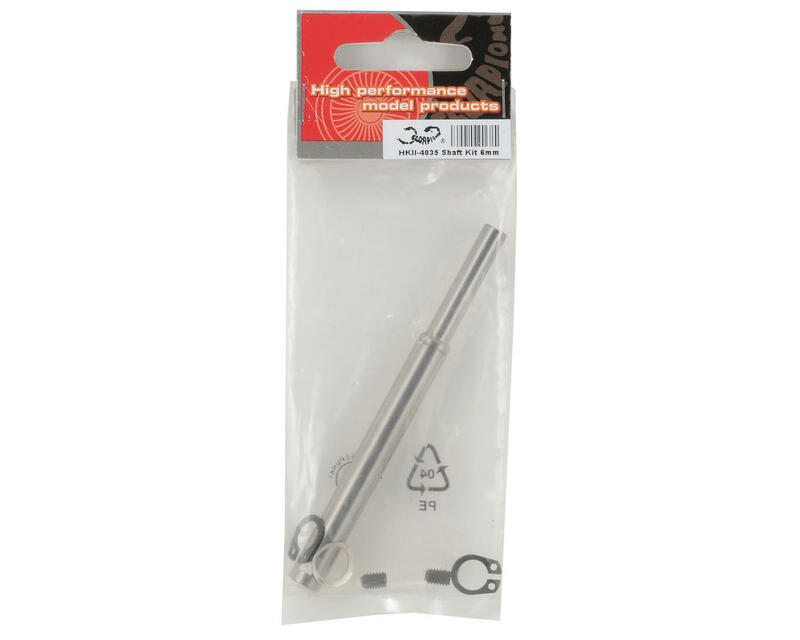 This is a Scorpion Extended Long Shaft with a 6mm End, and is intended for use with Scorpion HK-4035 motors. The Scorpion HK-4035 motors are built with 8mm hardened steel shafts that will last through countless hours of flying fun, but occasionally, on a "Less than Perfect" landing, you may bend or break one. For these occasions, Scorpion offers factory replacement shafts for all the HK-4035 series Scorpion Helicopter Motors. These Motor Shaft Kits include an original equipment factory shaft with the setscrew keyways already cut, a new spacer washer, and a set of 2 retaining clips. This way, when a clip goes flying and bounces off the wall while you are trying to install it, never to be found again, you still have another one to use! The shaft for the HK-4035 series motors measures 8mm in diameter, and is 100mm in total length. The pinion end of this shaft is ground down to 6mm to allow the user to install 6mm pinion gears. 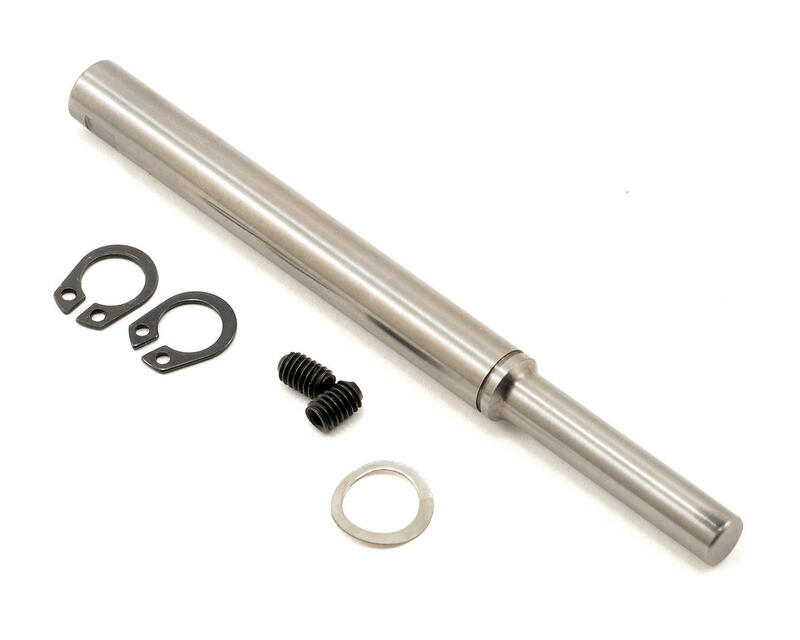 The shaft kit will also fit other brushless motors that require a 5mm shaft of this length. The shafts can be cut shorter with a Dremel tool and a cut-off wheel if necessary to fit other motors.